This is a long post and it may or may not resonate with you. But if you’d like to know what has helped get me out of my poverty mindset, keep reading. A couple months ago, I was feeling broke, not only financially, but also in spirit. My business had stalled and sales weren’t happening. This made me feel anxious, which caused me to invest a lot of time in promoting my shop and working harder on my marketing strategy. But after weeks of hard work, I still didn’t make any sales. At that moment, I started to feel a bit desperate. And it was then that sadness, anger, and frustration added up to misery. I surrendered to the wave of negative emotions and got under the bed sheets to cry. After a gentle weep, I finally felt calm. The silence in the bedroom invited me to talk to my inner self, which was when I realized I’d been in that situation before. The feeling of scarcity wasn’t new. I recognized that I was stuck in an old belief of mine – a belief that super hard work is necessary in order to live in abundance, and that money comes hard and goes easy. That’s when I had an awakening moment. “Stop worrying about money,” my inner voice whispered. This simple realization caused a wave of relief. It was as if someone who hadn’t been able to walk for a long time suddenly got up of bed and started walking. Which brings me to my first tip on how to manifest money. 1. Stop worrying about money. After I stopped worrying about the numbers in my bank account, miracles started to happen. I made sales again, and I even received a wholesale offer. It turned out a shop owner in Germany had stumbled upon my online shop and loved my baby dresses. After a few back-and-forth messages, we agreed she would sell my dresses in her brick and mortar shop in the spring season. Then, someone I met on Facebook made a purchase from my shop and even recommended it to family and friends. Isn’t that great? We all sometimes feel like our effort isn’t paying off, but you never know who is watching! It could always be that day you receive a surprise when you least expect it. Magic money baby. I found this quote that perfectly illustrates the message I’m trying to convey here. I just had to make one small change to it. You see, wealth isn’t just about money. This is going to sound like a cliché, but there are things money can’t buy. After taking a look around at my surroundings, I realized just how abundant I actually am. I feel genuinely happy about being in a loving relationship and sharing a cozy space with my partner. I also appreciate the furniture in my home. TV haters are going to burn me at the stake, but I love having a huge TV. I simply love watching my chick flicks on a big screen. Anyway, as I write these words, I’m feeling grateful for having a laptop and a desk. I’m also immensely thankful for having plenty of food in my fridge, true friends, an amazing boyfriend, and living parents. “Wait a minute … I already have all of these blessings in my life? That means I’m already rich, abundant, and wealthy!” Woohoo! My concept of wealth changed. A couple of months ago, I was failing in my social relationships. I turned down countless invitations from friends because I was afraid to spend the little money I had. Without even realizing it, this was affecting my vibration and happiness level. But once I started to have fun again, my vibration –and money—raised like a lump of self-raising dough. And the universe provided for it. A friend of mine even recently invited me to her town. And when I told her I’d buy my train ticket, she offered to pay for it! If I had continued on with my scarcity mentality, I would have probably thought I wasn’t able to afford the trip. But instead, I allowed myself to have fun. And we had a super fun day. We visited the Escher museum in Den Haag, went to the beach, had coffee/tea at nice places, and ate like there was no tomorrow. Don’t we look like two happy ladies? This gave me goosebumps and reminded me again that we must trust in order to receive. Something that has had a huge impact on my finances was practicing self-love. You might be wondering what loving yourself has to do with making money. Let me explain. Money is energy. That’s why it’s called currency. When money doesn’t flow, it’s because our vibration is low or we’re experiencing blockages in other areas of life. I truly believe that we attract what we are. And if we’re feeling shame about ourselves, it’s probable that we’re feeling shame about our finances as well. When we love ourselves, we are in a high vibration; therefore we attract more of what we want. Interestingly, the time I was feeling broke, I was also feeling groggy, heavy, and unhealthy. There are many different ways to practice self-love. For me, it often comes in the form of feeding my body with food that makes me look and feel good, or exercising and wearing clothes I feel comfortable in. It also comes when taking daily moments to say, “I love you” and “You got this” to myself. And realizing that my worth isn’t based on how much money I make or where I work. I can tell you that when I started to do all of the above on a consistent basis, everything started to fall into place. I stopped feeling heavy and slow, and started to feel more energized, lean, beautiful, and alive. And this has also reflected in my money, because everything is connected! So if you’re feeling discomfort in a certain area of your life, check in on the other areas and ask yourself how you can improve them. That’s why self-care and self-love is super important. It helps us align our energy flow. You might be thinking, “This is all nice, but show me the money!” Well, this is where radical action comes in. Radical action is about doing something that will bring actual results or money in the door. As much as I’d like to relax all day with my favorite TV series, manifesting money requires actual work. When I realized that my biz wasn’t making big bucks, I decided not to put all my eggs in one basket. In other words, I kept my side jobs. These days it’s easier for me to explain what I don’t do for a living, than what I do. Because the truth is that I have different sources of income. If you’re feeling anxious because your art or dream job isn’t paying the rent. Please know that having a day job doesn’t mean you don’t trust the universe, or that you’re giving up your dreams. It’s actually one of the most intelligent things you can do. Once you have a steady source of income coming in every month, you will feel better knowing that your basic needs are met. This will allow you to use the rest of your time to focus on your craft or land your dream job. That being said, you don’t have to work from 9 to 5 in order to feel financially secure. Just three hours a week doing a little side job can work wonders. You can even ask your neighbor if he/she needs help walking the dog, babysitting, or cleaning the house. In my experience, when I’ve been brave enough to look after myself and put myself out there in order to bring food to the table, I’ve manifested more money! It didn’t happen while I was sitting in front of the computer waiting for some sort of miracle. If you’re feeling unsure of whether you should take a side job or not, watch this inspiring video by Marie Forleo. Like I mentioned before, you don’t have to work a hundred hours a week. There are days I work three hours and call it a day. I trust that those hours will be enough to benefit my business. And most of the times—when I’m not obsessing or worrying, and when I’m enjoying my work—those three hours bring in the cash. Gone are the times of working 8-10 hours a day. Working smart is about doing the 20% of things that bring 80% of the results. For instance, I promote my business on different social media platforms. And by now I know where my customers are. I could spend all day doing promotion in all of them, or just go and promote in the places that have proven to give results. There are of course different ways of working smart. For example, you can also automate, organize, or delegate chunks of work. But I’ll cover that another day. What I’m trying to illustrate here is that working harder isn’t always the answer to making more money. Nor is lack of action or no action at all. It’s about finding that sweet spot where you get up, enjoy the work that you do, and trust that the universe has your back. Finally, if you are feeling lack in your life, give. Invite a friend over for dinner, share an inspiring post, donate, or do whatever your heart feels called to do. Money is an exchange and if you give value to people, the universe will reward you. I have a friend who told me that whenever she catches herself in a scarcity mindset, she goes out and spends money. This doesn’t mean that if you only have 20 dollars to spare, you go out and spend it all. But trusting there’s more money coming your way always helps the money energy flow. So go out and treat yourself or a friend to a latte. As I grow older (and get wiser) my beliefs change. So I might remove or add tips to this post. But for now, this is all I have to share with you, and I hope it serves you in some way. My wish is that you always feel abundant, and love the heck out of your life. 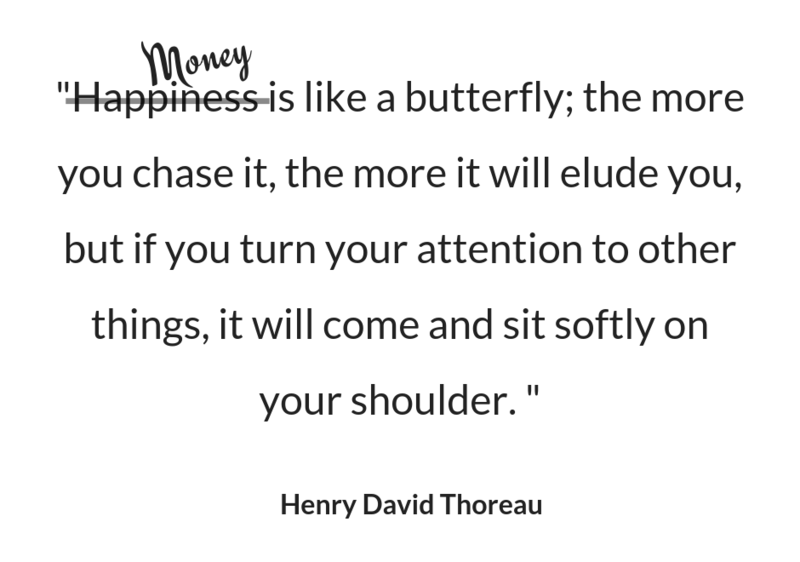 And if you have more tips on how you like to manifest money, please share them with us in the comment section below! Good post. I love the quote: Gratitude makes us feel instantly abundant. You can’t feel lacking and grateful at the same time. Do you mind if I share it in No Sideboard group? I will credit you. Hi Lynne! I’m glad the post resonated with you. Yes please, share it!! Feel free. Thank you so much. I so much appreciate your comment Lane. I’m glad these tips make “cents.” lol Thank you!!! Love to you dear. Another great post filled with really practical tips. And it didn’t feel too long at all, every part of it needed to be there. You offered an abundance of tips and that is exactly what is needed. You’re right, it’s not really that long. 🙂 As always, thank you for taking the time to read and comment. Love, Jessica. Great post Jessica! It definitely resonated with me – like you, my default belief is that you have to work hard to create abundance, and I definitely need to relax a little bit more, have fun, and trust that my efforts will be rewarded. I’m happy this posts resonates with you Susan! Exactly, trust is key in manifesting whatever we want. So relax and have fun, and let the universe figure it out for you. I’m sure great things are coming your way. Love, Jessica. I love your article and reminds me of the books You are a Badass and You are a Badass in Making Money. The two of the books that changed how I approach everything in my life especially money. I have been using law of and attraction and manifestation in every single aspect of my life now and I can see the effects. Thank you so much for your kind and lovely comment Nichola, I appreciate it. All the best to you too.